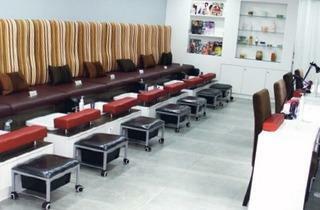 Despite the tickling, clipping and scrubbing, manicures and pedicures are generally thought of as relaxing treatments. And despite all of its many and varied attractions, Sungei Wang is not generally thought of as a relaxing place. But as any Sungei Wang regular will know, things quieten down when you turn into the long winding corridors away from the main thoroughfare, and that’s where you’ll find hair salons, foot reflexology parlours, and The Nail Residence. There’s only so much you can do with the décor of a nail parlour, and in this respect The Nail Residence doesn’t stray from the prescribed norm – lots of white, accents of red and racks of magazines. Each station is sterilised after use and the nail technicians are pleasant, quiet and efficient. 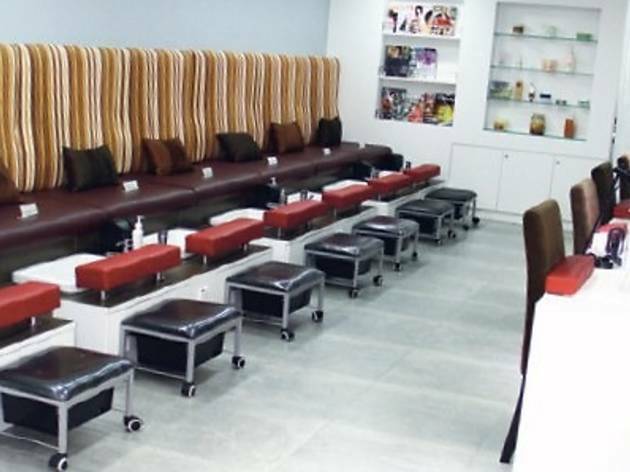 On my visit I bumped up the regular mani-pedi to The Nail Residence’s luxe version, which adds on a good hour to the whole affair and all manner of unguents, lotions and scrubs. Using only OPI products, my hands and feet are scrubbed and then slathered in a rich dermal cream masque, wrapped in clingfilm and inserted into heated mitts for ten minutes. This is always my least favourite part of a treatment, being made to feel like a lobster, but when the time is up and my extremities liberated, I wiggled my toes and luxuriated in the feeling of smooth, smooth skin. This was then followed up by another round of moisturiser, applied with a massage to the forearms and calves and finally the actually nail polish. By this point, the polish seems like an afterthought, and it’s certainly the shortest part of the whole procedure. The Nail Residence carries a respectable range of OPI colours, with the option to add on a shatter layer, glitter, nail art or even 3D nail art. They’ve also introduced a gel service.